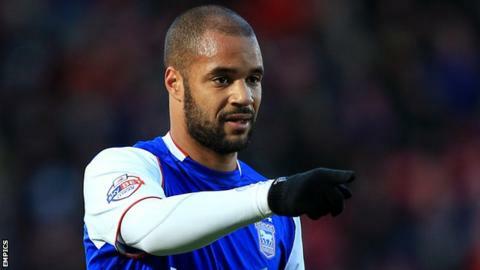 Ipswich Town's David McGoldrick will undergo knee surgery, ending any hope of the striker returning before the end of the season. The 26-year-old top scorer has been sidelined since damaging a ligament in February and has suffered a setback. "He's having an operation on Thursday on his cartilage, he's damaged his cartilage this week," said McCarthy. "We'll now just get him ready for the start of the season. It's a shame because he had worked ever so hard." McGoldrick, who has 16 goals from 34 games this season, had been working towards a return in time for the Championship play-offs, should Town finish in the top six. McCarthy's side are level on points with sixth-placed Reading, with four games to play.